Create a buzz amongst your summer soirée guests with our wonderful bumblebee solar fairy lights. 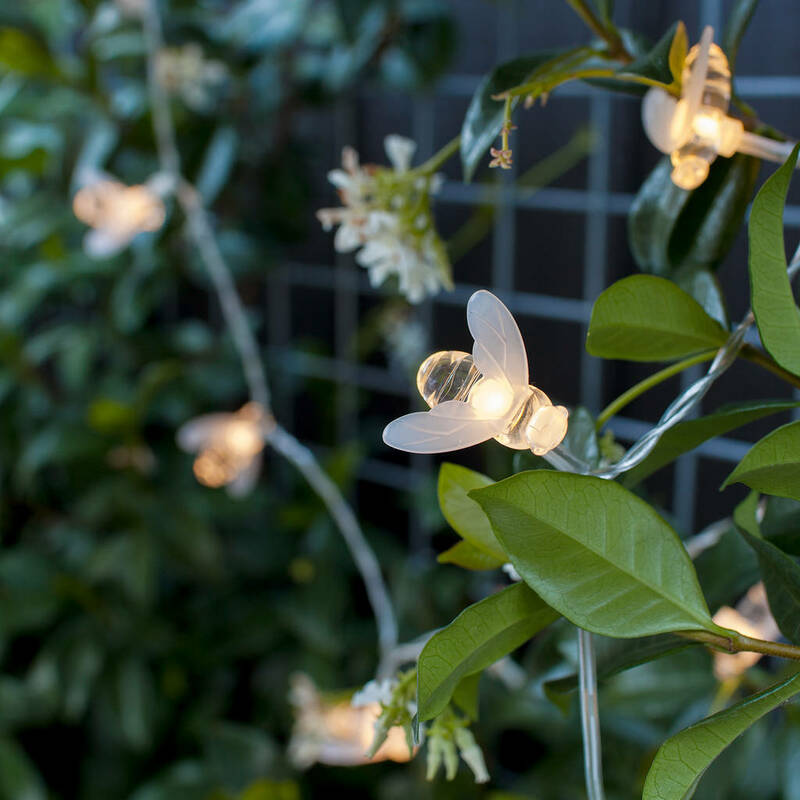 With their super-cute shape, these bees are a lovely addition to any garden or patio even when not illuminated and at dusk they really come into their own.The soft, honey glow created by 20 warm white LEDs is guaranteed to make you melt . The 20 bees are spread evenly across 1.9m of clear cable which you can discreetly weave between leaves and branches and which, come nightfall, makes the bees look as if they are gently perching on your flora and fauna. There’s a handy 3m lead cable to the solar panel so you can find the ultimate sun-drenched spot to pop the solar panel whilst displaying the lights wherever you please. The solar panel also has a ground spike for easy assembly so all you have to do is let them charge and decide whether you’re in the mood to set them to static or flashing using the switch on the solar panel.